And the journey continues as we venture on the land of nine. Historical footnote, Negeri Sembilan was formed as a combination of 9 different villages with Minangkabau heritage. Meeting time - and one of our members was missing! We finally discovered that Timothy had terrible food poisoning the night before. Fortunately, we had Zhi Xiong who valiantly sacrificed his plans for the day to substitute him. Despite the mayhem in the morning, we manage to start the program in the school on time. The sun doesn't shine forever, and very shortly after we arrived, we encountered another problem, we couldn't install the software on the computer. Thinking on our feet, we decided to use the online version of scratch. Thankfully, the internet was decent, and the workshop went smoothly. The only other difficulty was moving around the room, as it was really small! For the most parts we were tucking in our bellies to navigate through tight spaces. Surprisingly, one of the students in the class was our private student! It's always nice to have an extra pair of hands to help out. 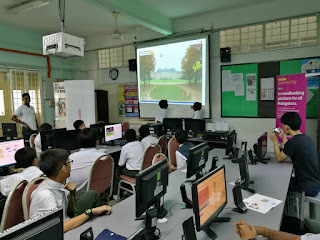 Together, we went about teaching the other students how to write a game with Scratch. Most of them were starting out from scratch, and it was quite cool to see how each student picked up the ability to code their ideas into reality. At the end of the workshop some of the students presented their game designs. A few students had ideas beyond the scope of the handout and with the help of the internet, one of them designed a shooter game! All this in just 3 hours, that's amazing! 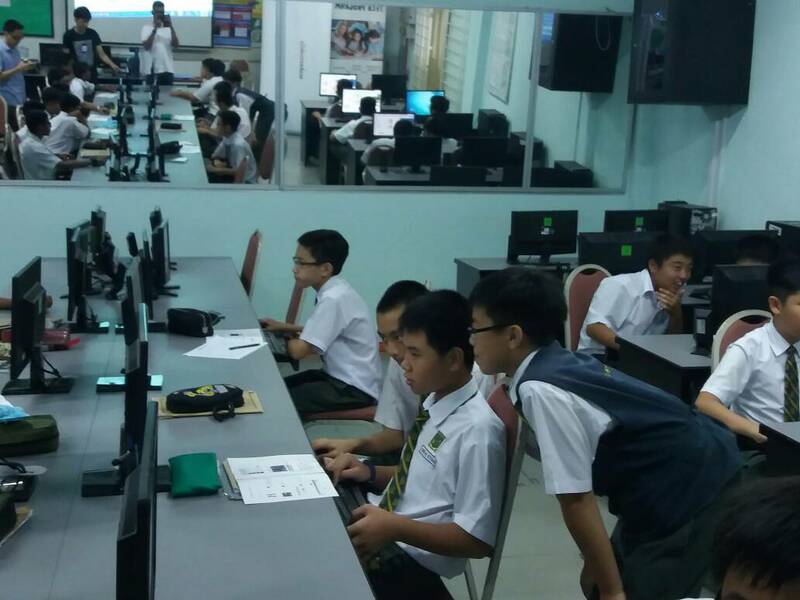 Upon departure, we were pleased to see a few students exclaimed their interest in game designing. To us, even if we could touch the minds of a single kid, I feel that we've done more than we aimed for. We were really happy to see their ecstatic face at the end of the program, eager to go back and design more. Following the teaching, we headed out to have a taste of Melaka's famous chendol, and it was delicious and thirst quenching. After that Zhi xiong left to go back to Cyberjaya and the two of us proceeded to a hotel in Seremban. Unfortunately, Timothy still hadn't recover and couldn't join us for the night, but his misfortune is our fortune as we got an extra bed to use.